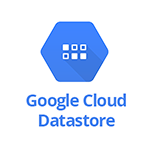 Use SignalFx to monitor Google Cloud Datastore via Google Cloud Platform. Read Sizes by Type of Read - Average sizes of read entities by type. Number of Requests per API Method Call - Number of requests made by method. Number of Writes - Number of Datastore index writes. Write Sizes by Operation Type - Average size of written entites by operation. Count of Datastore API calls. Distribution of sizes of read entities, grouped by type. Distribution of sizes of written entities, grouped by op. Count of Datastore index writes.